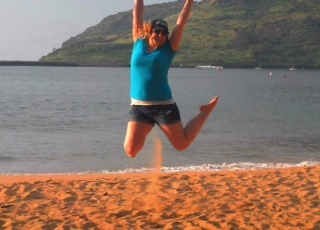 I am back from Hawaii, exceedingly sunburned, and ready to return to writing! I’ve been looking into a few writers’ conferences to attend this year that I’m really excited about! Reason being, I have met some of the coolest people there. Not to mention the amazing tips and tricks I learned. And to top it all off, conferences are really good at getting me excited about writing again! I even took my mom to one (she’s not a writer) and she felt the energy and excitement about writing. One of the best tips I have learned at a conference I have attended was about plot. Suspense author Brandilyn Collins was leading a seminar and what she said, sounded so simple, and yet changed the way I wrote forever. In your book you want to make a big punch. Whether you’re writing suspense or a romance, this tip will benefit all the genres. She told us to bring our character all the way to the point of no return, and then bring them out of it. Nothing will hook your readers like that. The ‘point of no return’ is different for every book. It all matters on your protagonist. You need to think, what is the absolute worst thing that could happen to my character? It doesn’t have to be the death of the love interest necessarily. It could be they were served divorce papers, to they lost their house, to no more coffee on the face of the planet! Or maybe no coffee would be my own personal point of no return. The point is, what ever your character is working towards; yank the carpet out from underneath their feet. The tension and interest from the reader will instantly heighten and take your novel to a whole new level of awesome. Have you been to a Writers Conference? And if so, what is one of the best tips you learned? Spring is coming and it is beautiful! Not to mention the NFL draft is around the corner…sorry I couldn’t help myself. Perhaps I shouldn’t write about football so much. Love me for me reader! In just a few short days I’m going on what the English language calls a ‘vacation’. It’s an elusive thing that many humans seem to enjoy doing. I’m going with my family in celebration because my dear father has been declared cancer free! So the fam bam is going to Hawaii! 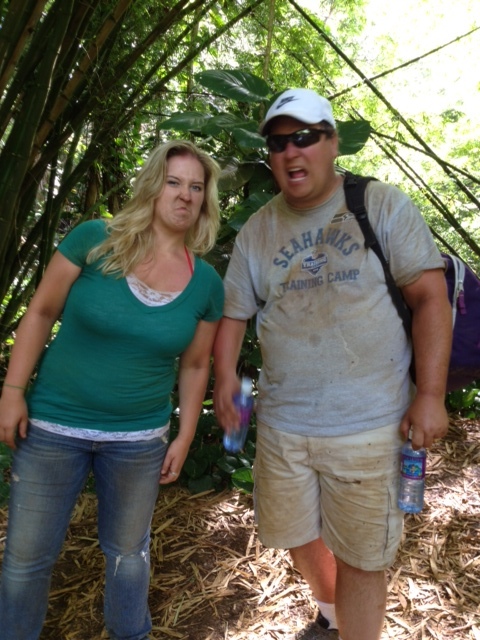 And I was like…do writers really go on ‘vacation’? I don’t think so and here’s why. The definition of Vacation: “a scheduled period during which activity is suspended”. I don’t know about you but if I’m not writing…I’m thinking about writing. For instance, this morning while putting together a bowl of cereal I was thinking about my newest plot and I put the milk in the cupboard and my cereal box in the fridge. So I cant really go on vacation can I? Because there is no way I can get my brain to ‘suspend’ thinking about writing. I don’t think writers get vacations. That’s not to say traveling and breaking your everyday routine isn’t beneficial because it totally is! But our vacation isn’t the typical vacation. And you know what? That doesn’t bother me in the slightest.